Tea Masters: How do I brew a tea for the first time? 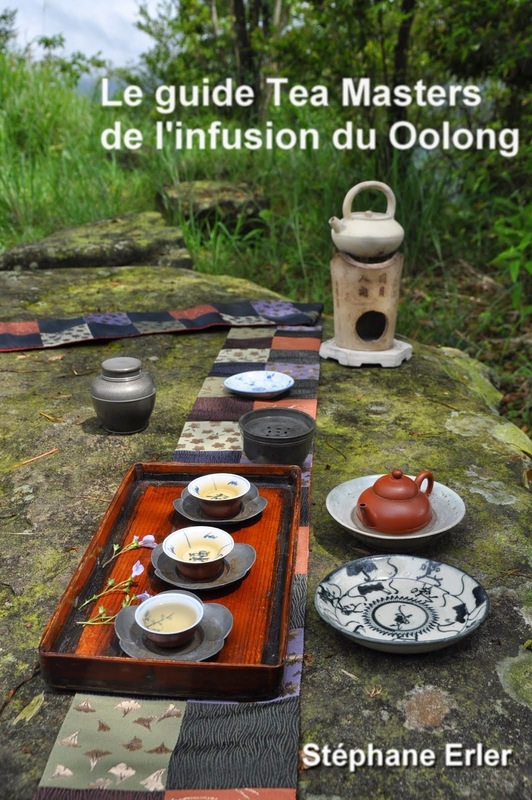 Now that some of my readers have received tea from me, it may be a good thing to remind you how to taste a tea for the first time. It's summer time now, a time when many people go the beaches to sunbath, play, swim and date. The beach is indeed a good place for dating and meeting your partner. (When young, I ... OK, I'll spare you!!) The advantage of the beach is that boys and girls go there without any makeup and hardly any clothes. The little which is covered is straightforward to guess. Under the natural light of the sun, we show ourselves as we are. It's often amazing to see how the same girl, in the evening, can have a totally different impact on you depending on what she wears, the lipstick she uses, and the scent she wears. Depending on her skills and your taste (or lack of! ), you may fall for her or not. With tea, the beach is the porcelain gaiwan (gaibei in Taiwan) and the bar is the clay teapot. - the leaves open under your eyes and are easier to see and study. 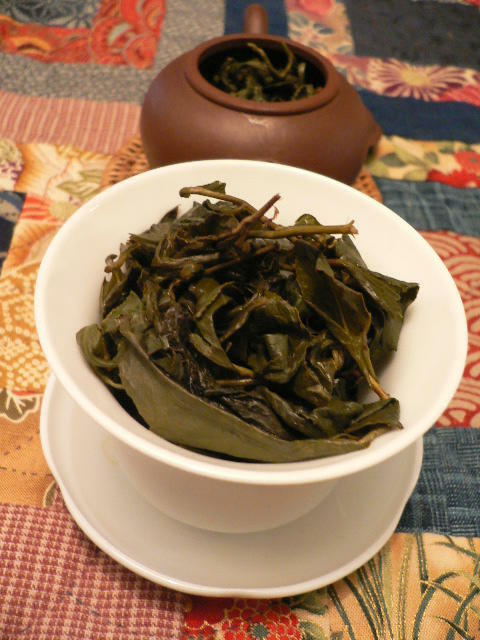 - the gaiwan is easy to empty and clean. 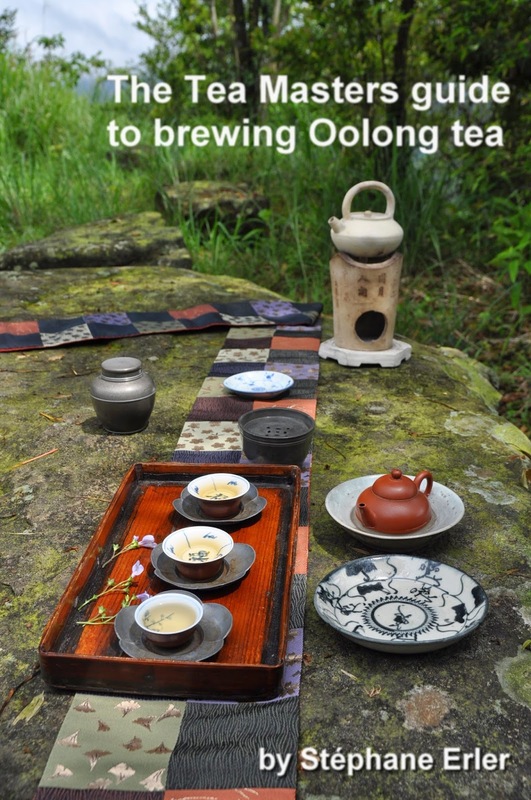 - Making good tasting tea in a gaiwan is harder than in a good teapot. - It's easier to burn your fingers or make a big mess when pouring the tea out. 1. Pre-heat your gaiwan and its lid with hot water. Then the cups. 2. Make sure it's well pre-heated. Don't wait too long before making the tea now. 4. Pour the first water with a strength in harmony with the tea you're making. 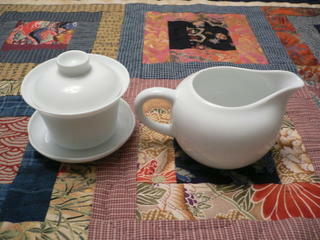 It goes from very soft at a small distance from the gaiwan in case of green tea, to a up and down movement for oolong. 5. For the next brews, once the tea has opened up, pour the water in a circle on the rim of the gaiwan. Not on the leaves directly. Like this, all the leaves will receive water that has the same temperature. You'll know you have a good brew when the leaves fill the gaiwan in harmony like the oolong below. (But you don't necessarily need so many, especially for pu er). And later, once you know your tea, then you can brew it in a teapot and enjoy it thoroughly! because I'm very curious to evaluate green and raw pu-er... since I am seriously doubting about the oportunity of drinking black'n'old pu-ers we use to start with in France. Then I shall bring my 3-in-1 bamboo tray for a tea party at the beach... I'll tell you later about the appealing power of this tool ! I hope that you will taste the 3 teas in this order, from young to the old, from the lighter to the darker tea. It's like tasting wine. You start with dry whites, move to dry reds and finish with the sweet ones. The Italians have a name for it: crescendo! yes, Stephane, I first had the Qi Zi Bing Sha of 2004 (the nibble one that you have kindly sent to me in order to calm my thirst for it !). And I am already HIGH !!! Unfortunately, I had to give up with the leaves in the gaibei after 7 long infusions because I had to close my teashop and leave. Then, when back home, I had an after diner pu-er tuo cha of 1985 (a kind sample from your choice). And thanx to you and your bl---y teas, I COULDN'T SLEEP at all last night ! Well, drinking tea sharpens your mind and makes you feel happy, and that wakes you up ! I see you have experienced the chi (tchi = power) of the tea! These are powerful teas because they are quite concentrated. Maybe try using less or drink them earlier. Especially the young ones. The chi of the old pu er should have had a calming effect, though. But it's normal to be excited when it's your first time (lol)!! tasting a new tea has something to do with ANY first time !